How to reprogram Mercedes Benz C240 to remove the speed governor that is set at 250k/h (from original 130 km/h). Connect MS908P and J2534 with Benz C240. Go to “MaxiSys-> Diagnostics-> Benz-> vehicle detect”. Get the VIN number. Tap OK to go on. Select the date of manufacture vehicle. This case is up to 2003. Press the button left to select left-hand steering. Go to ME2-SFI-Motor electronics 2. Go to Display of coding data. 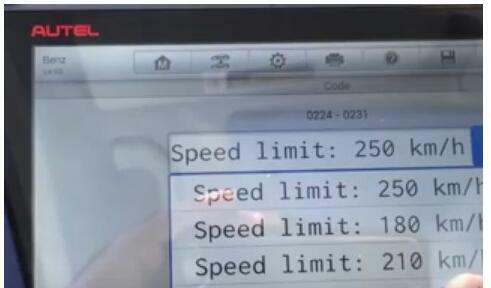 Scroll to 2031 about speed limit. Put on the bar. Set 250 km/h, and tap OK. Tap OK to make sure that the coding is transferred to the control unit. The coding has been carried out. Turn off the key and then turn the car back on. Then you can go for a drive. Question: Should I buy an Autel MK908P instead of Autel MS908P? Answer: Autel MK908P is much better in hardware. Will run faster and much more stable. The MaxiSYS MS908SP Pro is now our most powerful diagnostic scan tool. It features a 9.7” LED capacitive touchscreen and upgraded, top-of-the-line hardware. The Autel Scanner MS908S Pro is one of our most advanced tablet scanners available, with a hexa-core processor, double the memory at 64G, better quality 8MP camera, and 2 USB ports. 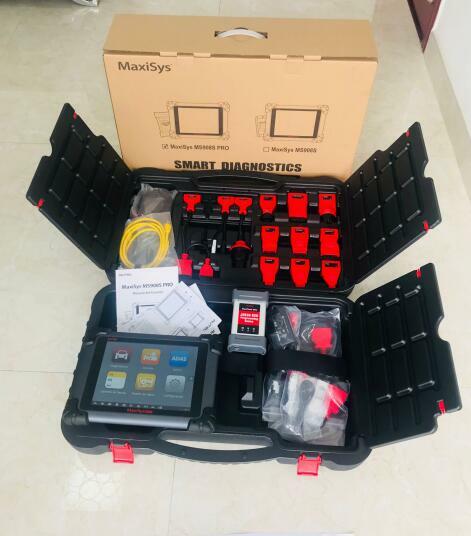 MaxiSYS Pro Diagnostic Scan Tool System (MS908SP) by OBD2TOOL. If you’re looking for a reliable solution to complete your project, this 1st-grade product is right up your alley. Designed utilizing the finest materials, it delivers unmatched levels of durability and strength needed to provide long-lasting service life. Superior in functionality, it will help you make any job easier and faster.